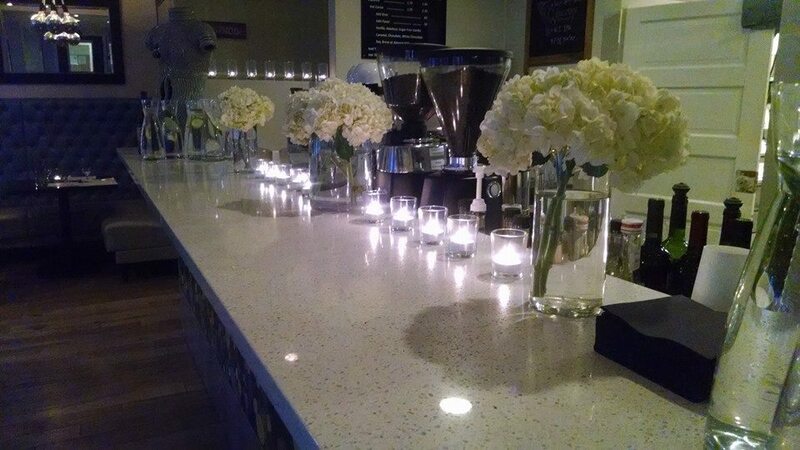 Our spacious private upstairs room is available for your rehearsal dinner, private party or board meeting. Flexibility in ordering from our menu; pre-ordering preferred. Room features local works of art, 60 inch flat screen, and room for up to 40 guests. 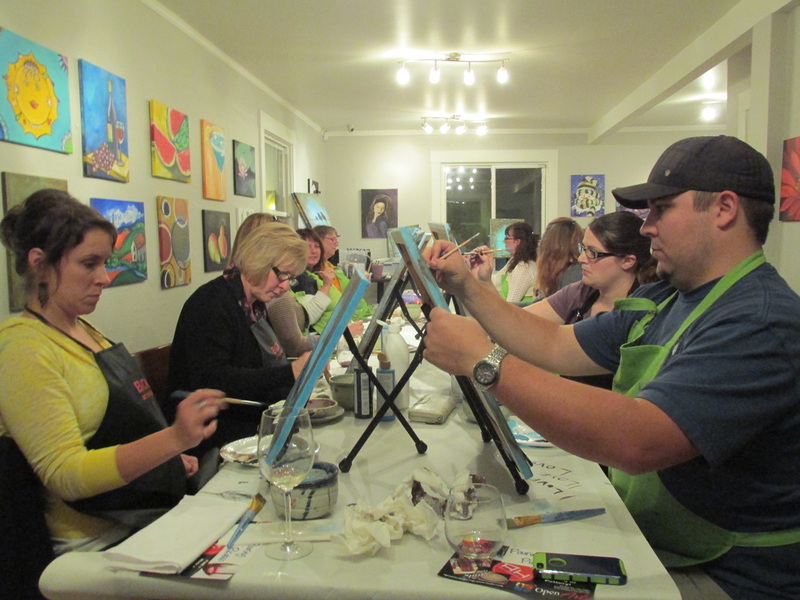 Include art experiences at the Art House Cafe through Open Arts Studio's Pouring Picasso, Cooking Classes or Ceramics! Available for breakfast, lunch, dinner and cocktails. Deposit of $150 and use agreement required. $15 minimum per person breakfast. $20 minimum per person lunch. $25 minimum per person dinner.